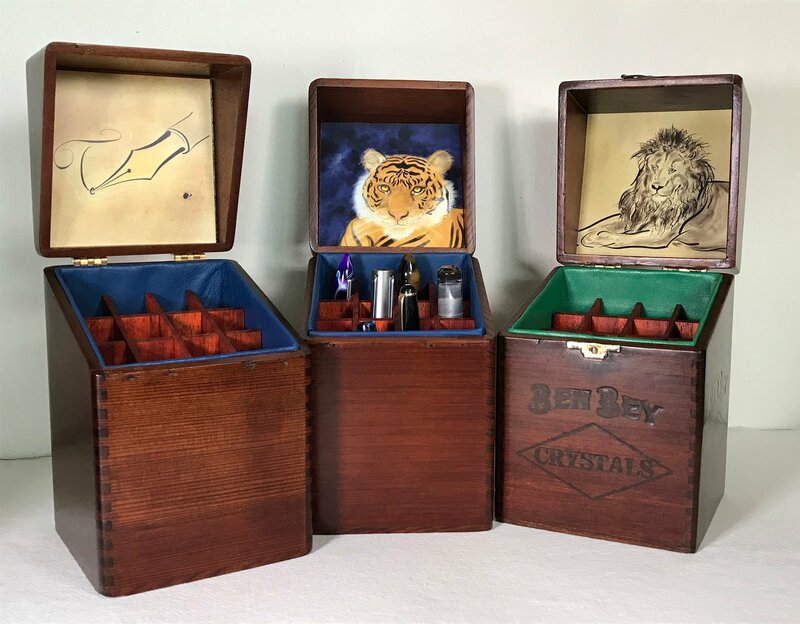 Each box is a repurposed cigar box, carefully selected, tung oiled, varnished, sanded and hand rubbed. They are then lined in leather and have a Padauk wood sectional and 1/4" leather covered padding beneath the sectional grid. Optional section lining in leather and inside lid image variations. Customization options of leather color, image and exterior design. Most boxes will hold sixteen pens. Wow that's quite a few to keep inked up at once.